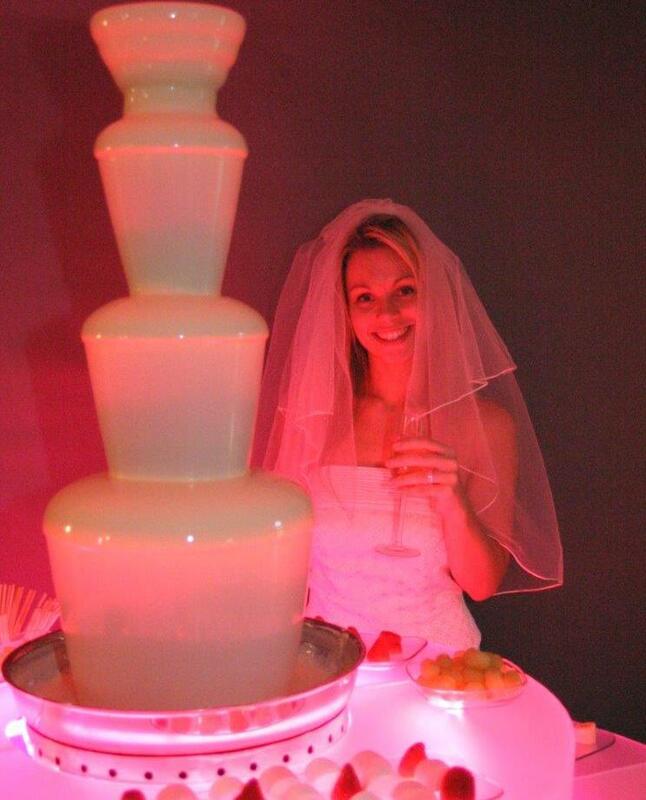 Fully Catered Private and Corporate Hire We specialise in Private & Corporate Events and can cater with single or multiple fountains. We are familiar with many UK exhibition centres, can provide all the necessary paperwork that is required and are able to set up with ease due to familiarity and industry contacts. 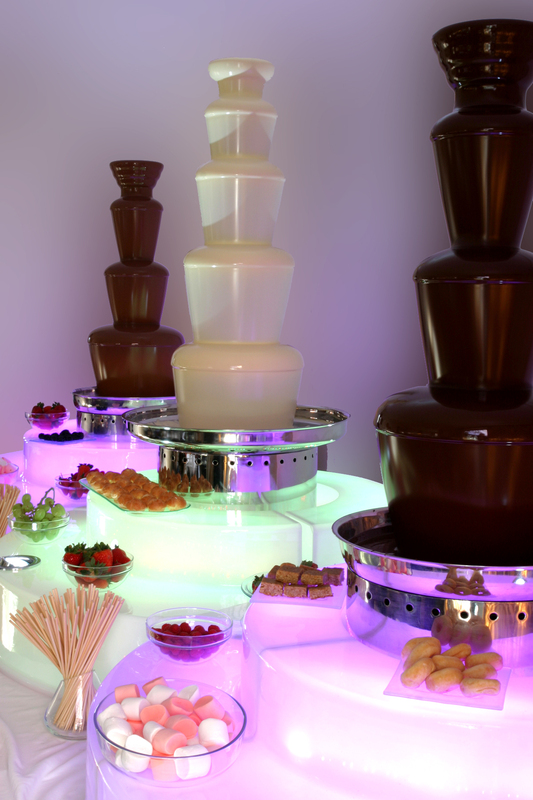 • BRITISH TOP QUALITY FONDUE FOUNTAINS WHICH STAND AT 44 INCHES/1.1 METRES HIGH.  In addition to the items listed above, with the Fully Catered Package the Chocolate Fondue Company will also bring along an abundance of dipping delicacies to ensure your fountain is the finest dessert imaginable. 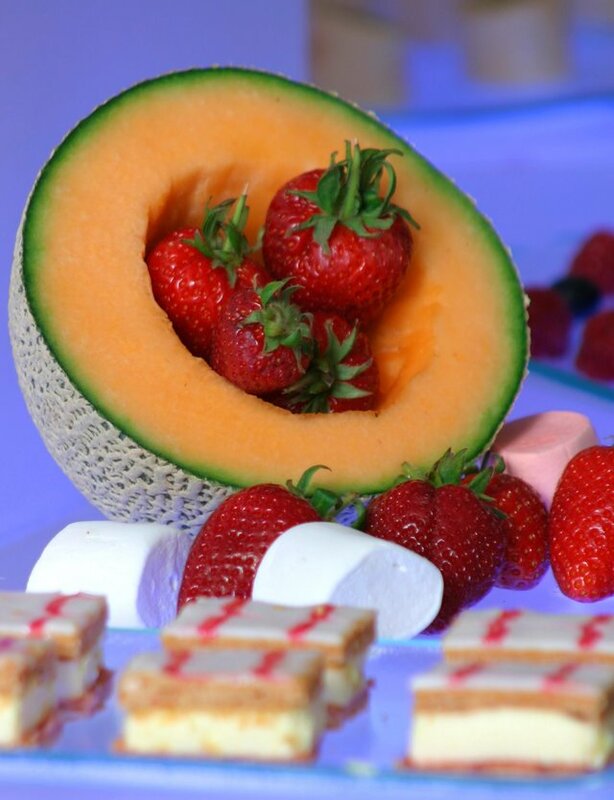 It is therefore a truly fully catered package, leaving you nothing to do but sit back and enjoy! The dipping items are beautifully presented by our fully uniformed attendant in a delightful display using our glass platters. The display is refreshed throughout the course of the event to ensure your Fountain display looks sensational throughout. 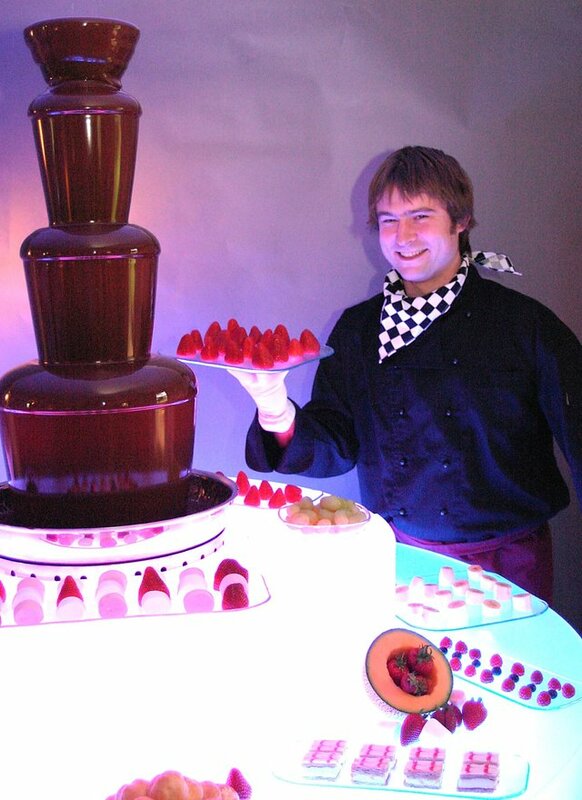 Your guests are assisted by our fully-trained, friendly staff and we always ensure everybody has a fantastic Chocolate Fountain experience! 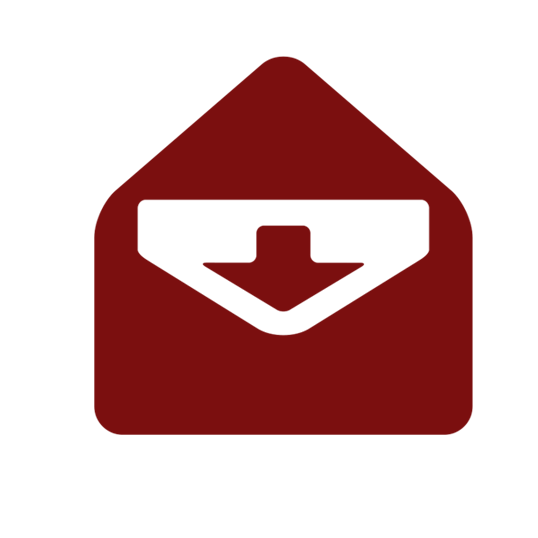 * Prices depend on time of year, day of week, location and running time. Please contact us for an exact price. 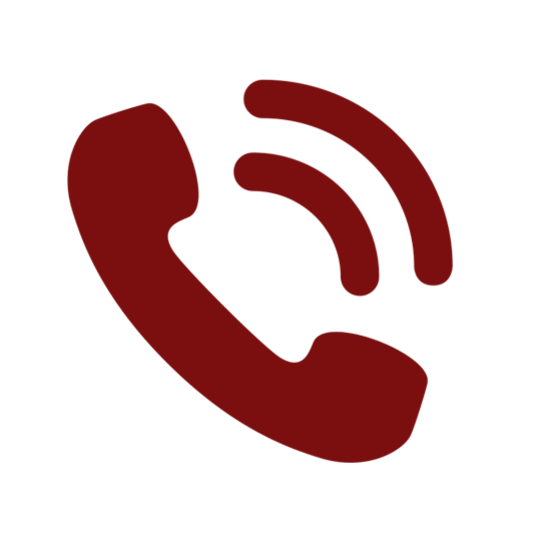 We will come back to you with a detailed quotation.